Secretary of Health & Human Services Kathleen Sebelius marked the occasion by issuing a statement listing objective evidence demonstrating some of the notable successes of the Affordable Care Act to date, including significant health care reforms beneficial to consumers and patients. Benefits to Seniors. More than 5.1 million seniors and people with disabilities on Medicare saved over $3.2 Billion (an average saving of about $635 per person) on prescription drugs because of the health care law. Benefits to Women. Because of the Affordable Care Act, 45.1 million women – including 20.4 million women with private health insurance and 24.7 million women with Medicare – can receive free preventive services, such as mammograms, Pap smears and others, without having to pay a co-pay or deductible. And starting in 2014, insurance companies can no longer charge women higher premiums just because they’re women. See more on benefits to women. Benefits to Young Adults. Because of the law, 2.5 million more young people have health insurance coverage today, because they are now eligible to be covered on their parents’ policies until age 26. More Health Care Services Per Premium Dollar for All People. The Affordable Care Act requires that premium dollars must be spent primarily on health care, not administrative costs like overhead or CEO salaries. So far, an estimated 74.8 million people have been protected by this new requirement, Secretary Sebelius said in her March 23 release. 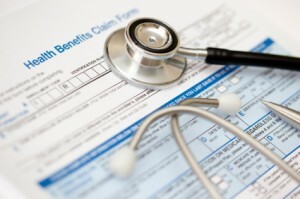 Stopping Denials of Coverage for “Pre-Existing Conditions.” Starting in 2014 the Affordable Care Act will prohibit insurance companies from denying coverage to anyone because of a so-called “pre-existing condition” –at least, assuming the Supreme Court does not grant the requests of certain Republican-led States to overturn the law before that time. But, already now, nearly 49,000 people with pre-existing conditions have been able to obtain insurance by enrolling in the Pre-Existing Condition Insurance Plan provided by the law, whereas they were unable to find coverage prior to the law. And, the law already makes it illegal for insurance companies to deny children under 19 coverage because of a pre-existing condition. Ending Lifetime Dollar Caps in Coverage under Insurance Policies. The Affordable Care Act has also eliminated lifetime dollar limits on coverage for over 105 million Americans, so that they no longer have to live with the fear that if an illness strikes, they could max out their health coverage, HHS said. Information about the many other benefits, protections and programs of the Affordable Care Act can be found on the HealthCare.gov website maintained by HHS. As part of its effort to demonstrate the actual benefits received by Americans under the Affordable Care Act, HHS has also launched a portion of the HealthCare.gov website called MyCare, on which they have posted videos of ordinary Americans sharing their sharing their own true stories of how they have benefited from the Affordable Care Act. HHS invites all Americans to share their stories of how they have benefited by programs included in the Affordable Care Act at:www.healthcare.gov/mycare. Today marks the two-year anniversary of the enactment of the Affordable Care Act, the law that gives hard working, middle-class families the security they deserve. It’s only been two years, but we’re already seeing that the law is making a difference in the lives of Americans. It’s helping seniors. New data shows that more than 5.1 million seniors and people with disabilities on Medicare saved over $3.2 billion on prescription drugs because of the health care law. That’s about $635 per person in average savings and money back in the pockets of America’s seniors. It’s helping women. Because of the Affordable Care Act, 45.1 million women – including 20.4 million women with private health insurance and 24.7 million women with Medicare – can receive recommended preventive services without having to pay a co-pay or deductible. Important preventive services, like mammograms and Pap smears are free. And in 2014, insurance companies can no longer charge women higher premiums just because they’re women. It’s helping young adults. Because of the law, 2.5 million more young people have health insurance coverage. It’s reducing premiums and lowering costs. Your insurance company can no longer raise your premiums by double digits without justification. And the law helps you get the most from their premium dollar: The health care law requires that premium dollars must be spent primarily on health care, not administrative costs like overhead or CEO salaries. So far, an estimated 74.8 million people have been protected by this new requirement. And the law is protecting Americans with pre-existing conditions such as cancer or asthma. Already nearly 49,000 people have enrolled in the Pre-Existing Condition Insurance Plan, and it is now illegal for children under 19 to be denied coverage due to a pre-existing condition. The law also eliminated lifetime dollar limits on coverage for over 105 million Americans—they no longer have to live with the fear that if an illness strikes, they could max out their health coverage. There are many more benefits to come from the law, too. Until then, learn more about the benefits, protections and programs of the Affordable Care Act at www.healthcare.gov. You can also see the stories of how Americans from across the country are benefiting from the law at www.healthcare.gov/mycare.